Jaguar XK 140 FHC, year 1957. Chassis number 48158712XX, body number J669X, engine number G9293-X, gearbox number JLE36339XX. 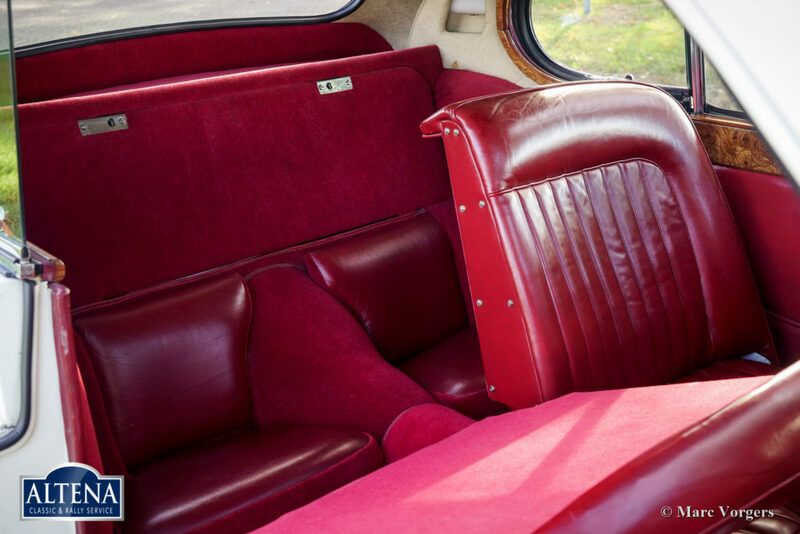 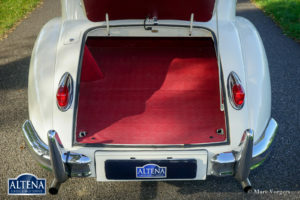 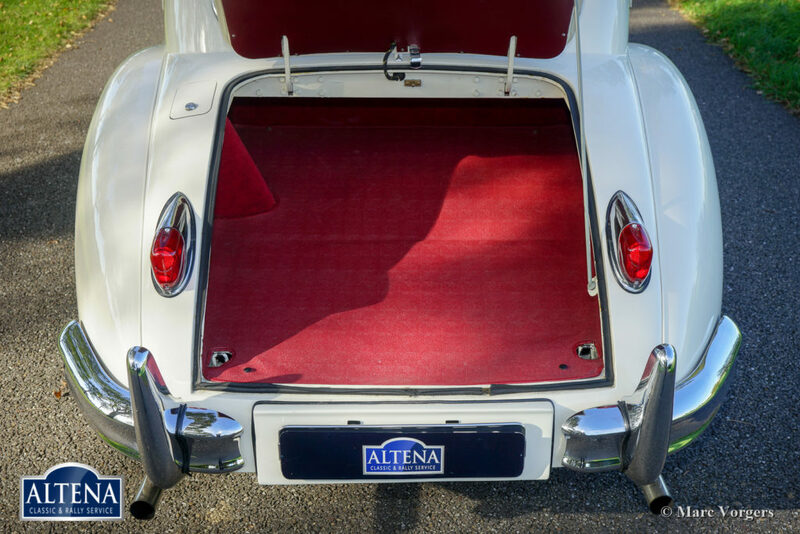 Colour Old English White combined with a red leather interior. 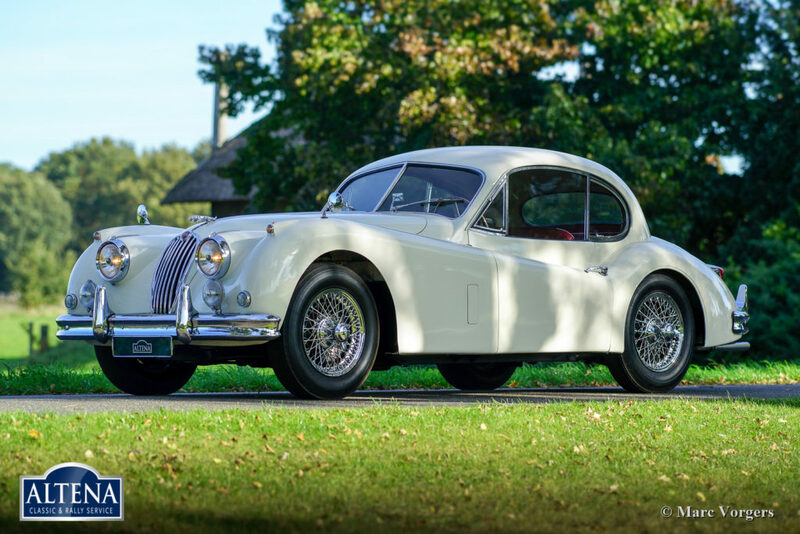 This gorgeous Jaguar XK 140 FHC (Fixed Head Coupé) was registered in the Netherlands in the year 2000. 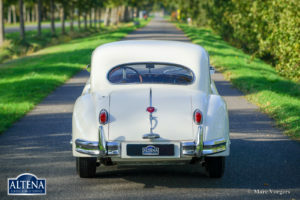 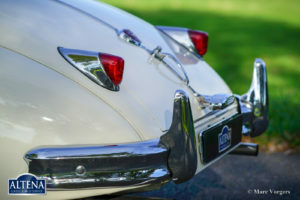 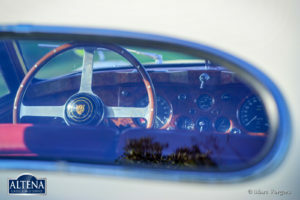 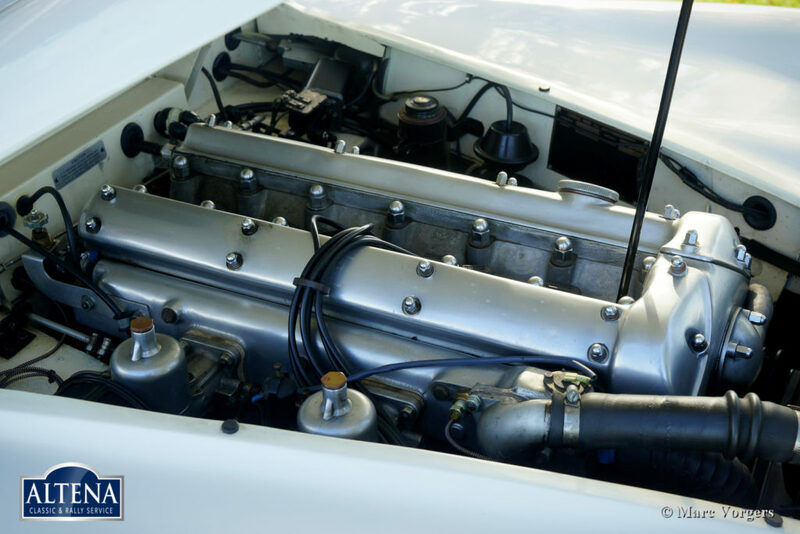 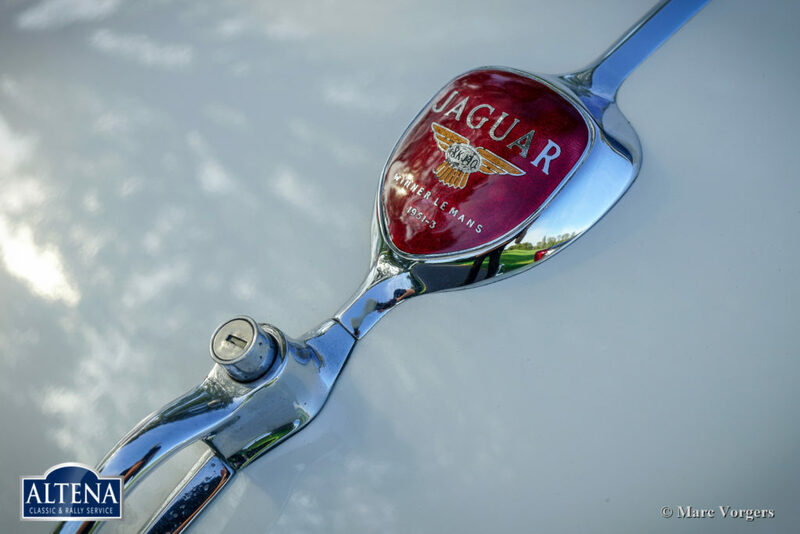 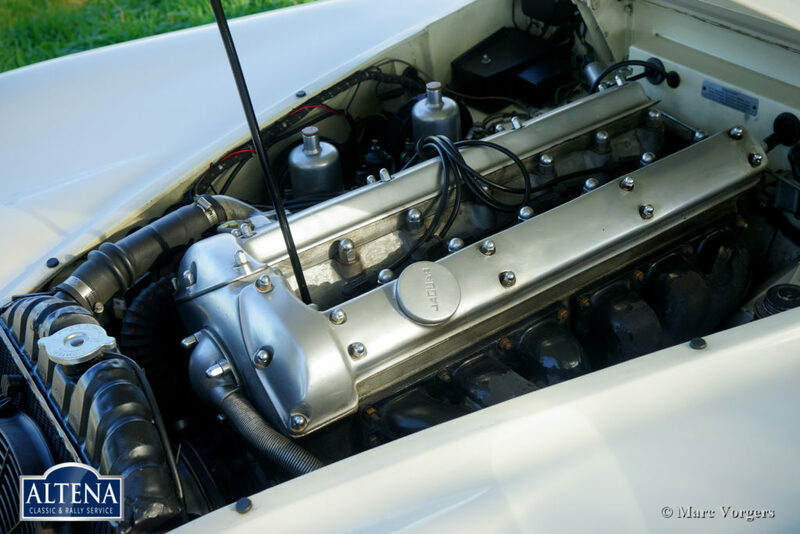 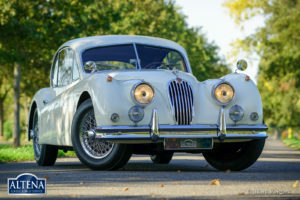 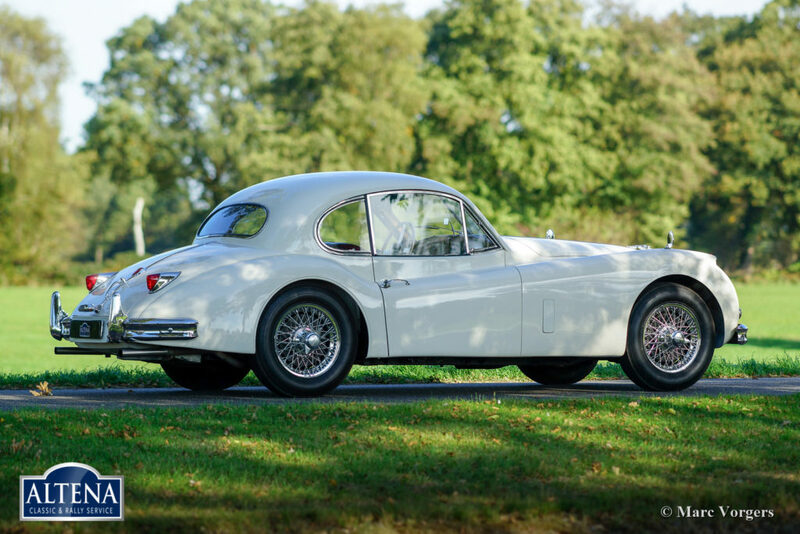 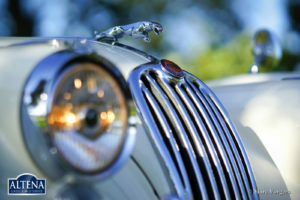 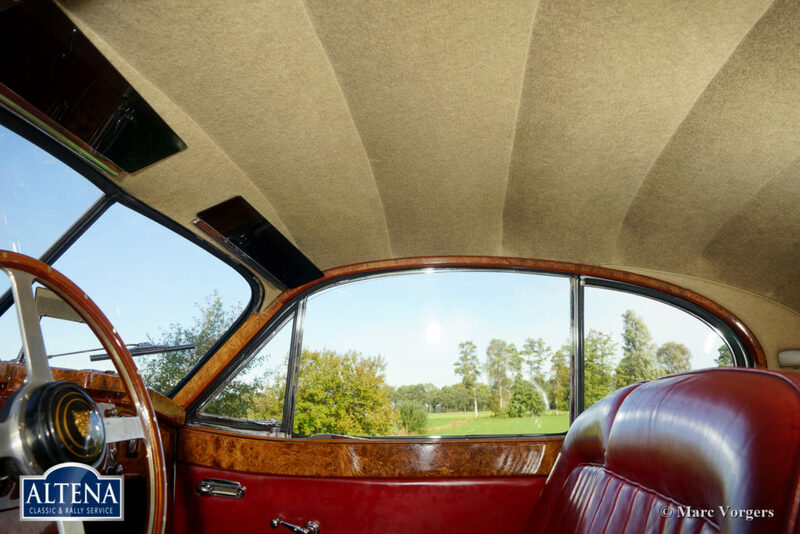 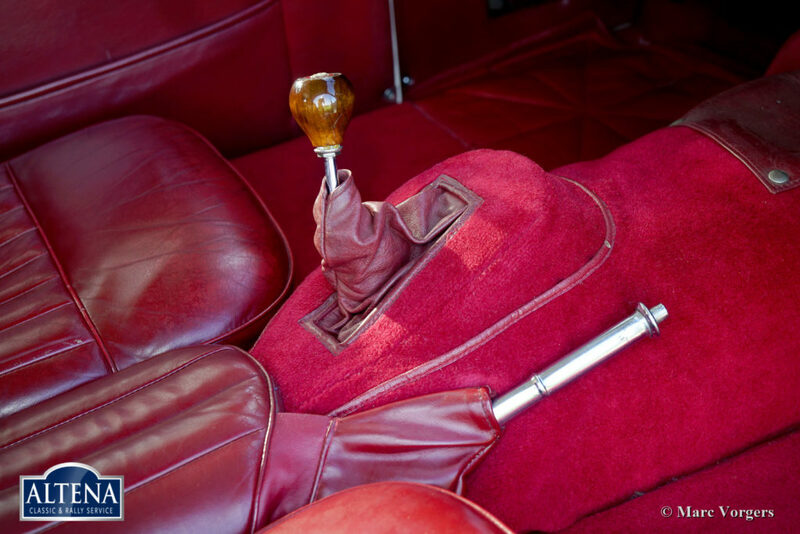 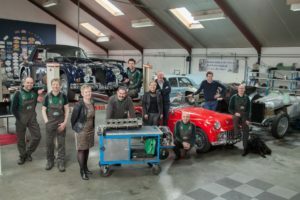 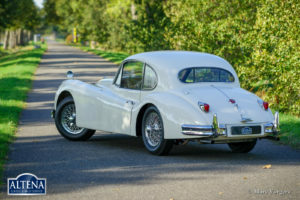 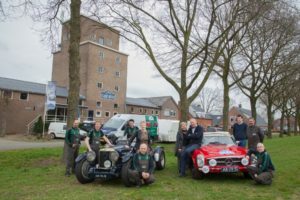 The Jaguar was extensively restored in the past and the automobile is in excellent condition! 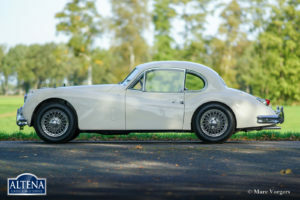 Additionally, the car drives delightfully! 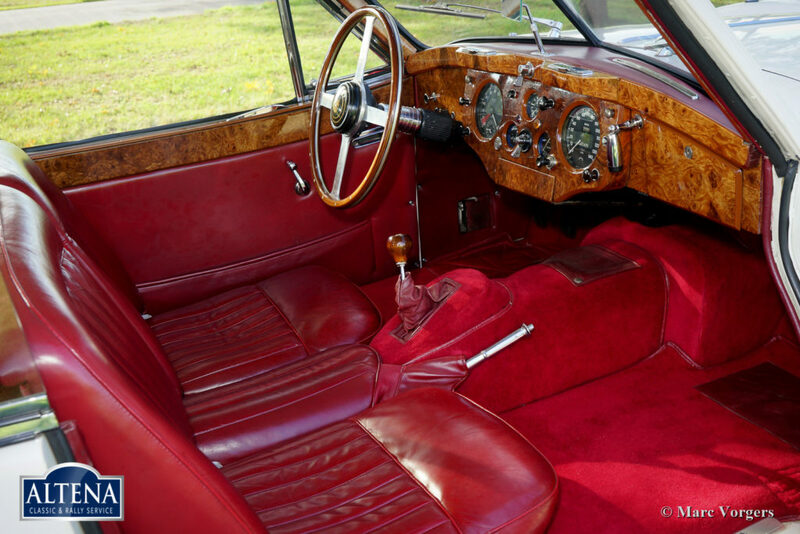 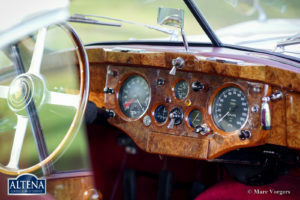 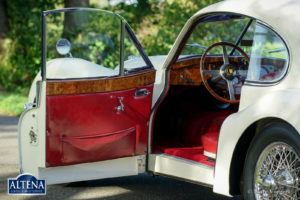 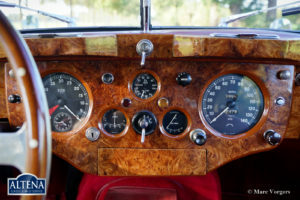 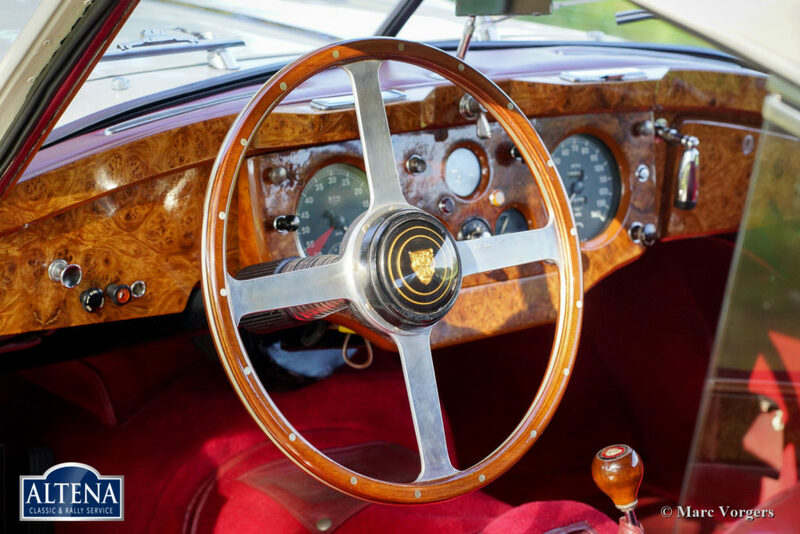 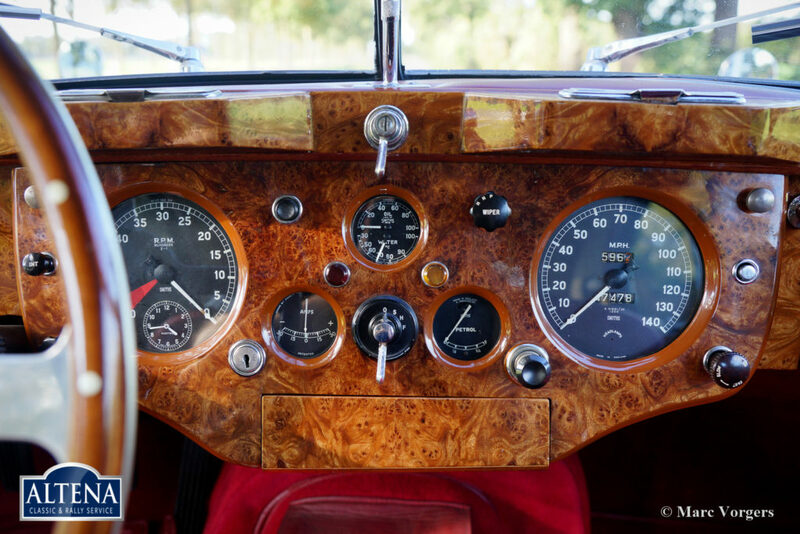 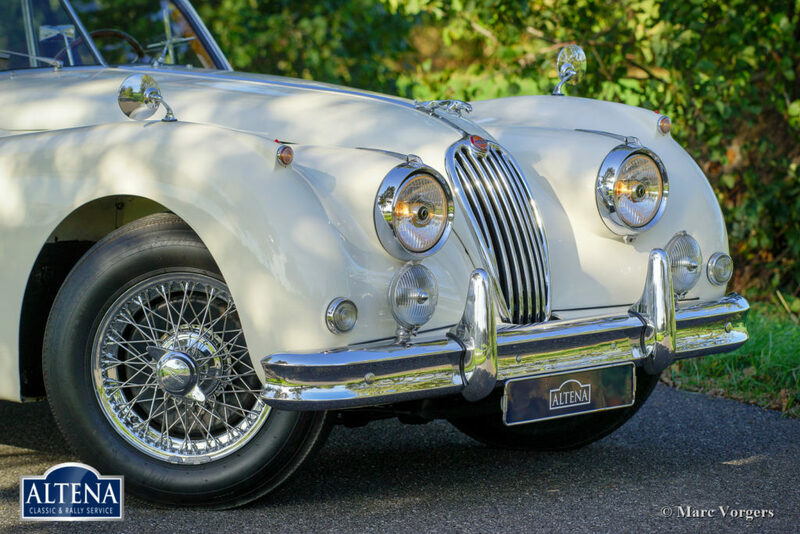 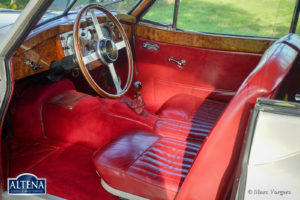 This Jaguar XK 140 FHC shows all the original details, in the interior you will find the wonderful wood dashboard and a period correct Moto Lita sports steering wheel with wood rim. 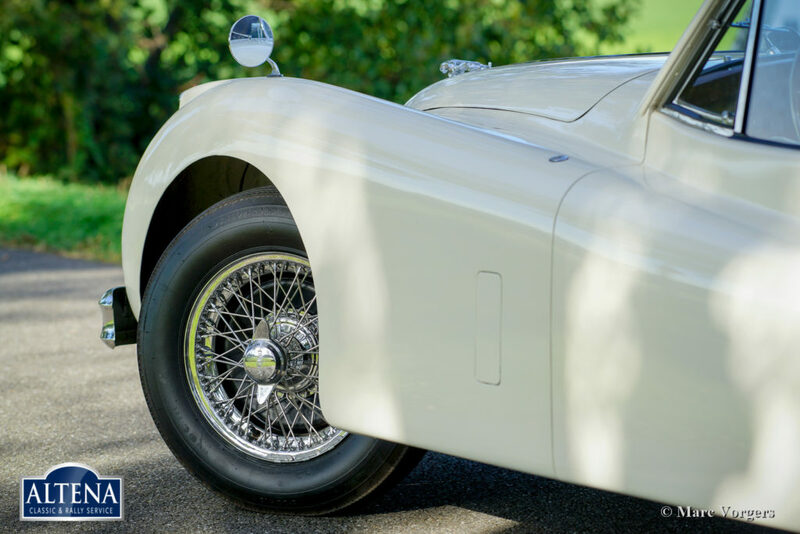 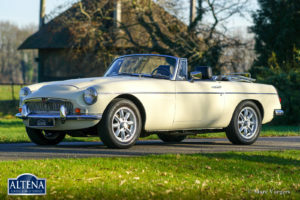 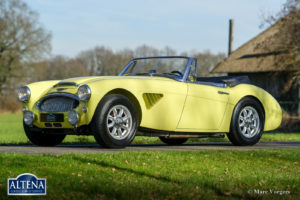 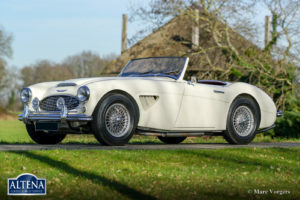 Furthermore, the car features period correct Lucas SFT 576 fog-lamps and wire wheels. 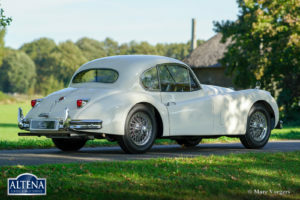 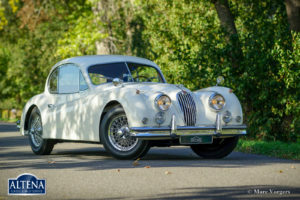 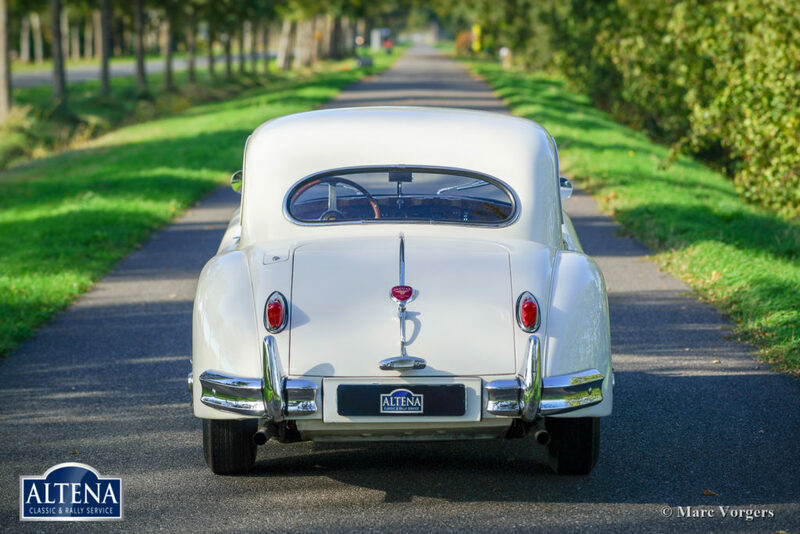 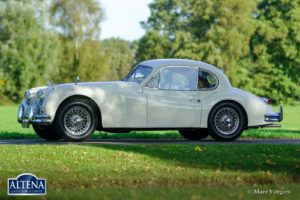 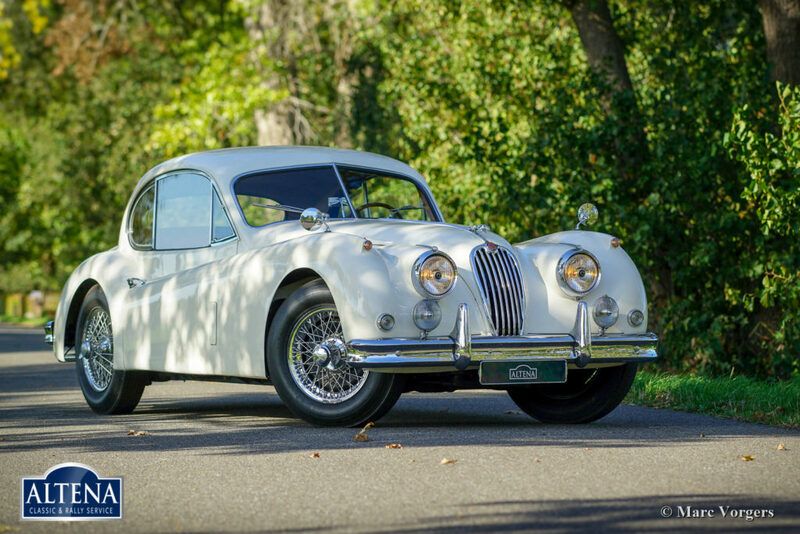 This is a very original Jaguar XK 140 FHC in excellent condition! 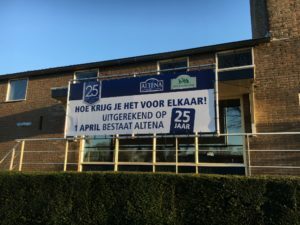 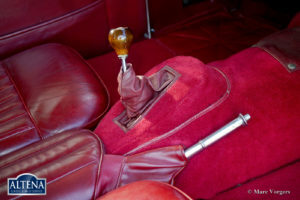 The automobile comes with Dutch (EU) documents, the car can be exported / imported globally.